My name is Nicola White, and Tideline Art is inspired by mudlarking and beachcombing finds collected along the banks of the River Thames, the Thames Estuary and the River Medway. Tideline Art is about giving new life to discarded objects. This website is a mixture of mudlarking finds, art that I have made from my finds, and general writings and musings on the stories I've uncovered in the water, including messages in bottles and pieces of history belonging to people from the past. I hope you enjoy it. 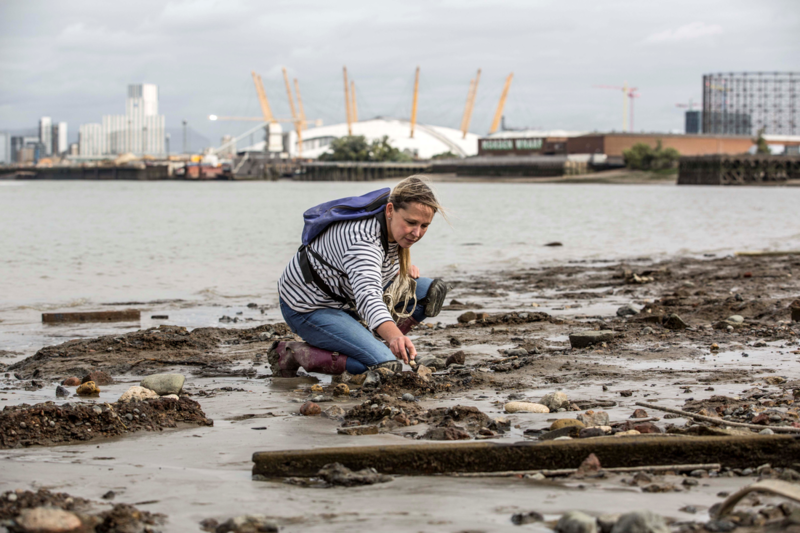 On moving to London several years ago, I started mudlarking (foraging along the Thames foreshore for pieces of history). As well as some beautiful old pieces of wood, there are a lot of fragments of glass, pottery and old clay pipes to be found scattered along the banks of the river. Some of these pieces are hundreds of years old, and hold their own secret story. It’s the mystery of these stories that inspire me. Did this piece of pottery come from a plate belonging to a wealthy Victorian family, or was it from an old tavern in the City of London? Was this fragment of wood from a wrecked boat, or an ancient pier? What stories they could tell if they could speak? Who tossed this pipe bowl into the river? This, along with the peace and tranquility of the river, is my inspiration. I love to put these forgotten, once loved, or discarded fragments back together, and give them a new purpose in a piece of art. Inspirations include Alfred Wallis, Guy Taplin, Margaret Mellis,and all those who see beauty in something used and thrown away and can breathe new life into it!